Regardless if you’re going all in on sports betting or just looking for some betting-inclined sports analysis, there’s much to be recommended about following sports betting personalities on your social channels. Given its format, Twitter is medium best suited for the acquisition of breaking news, real-time updates, and up-to-the-minute advice and strategy. You won’t get the visual gags or braggadocious materialism of sports betting to the same degree as you will on Instagram, but you will get more practical and actionable knowledge. 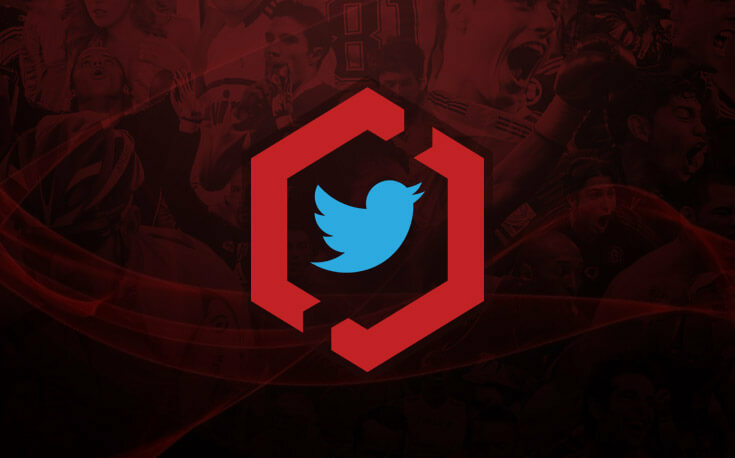 Here, we present you with our top list of the most influential and popular sports betting twitter accounts. There’s a bevy of great accounts to choose from, running the gamut from new agey, dedicated stat heads to old school, dyed in the wool Vegas types. Joe Fortenbaugh is a voice you might recognize if you’ve got any sports betting podcasts in your usual queue. He’s part of ESPN’s Daily Wager podcast, as well the morning host of the Bay Area’s premier sports radio station, 95.7 the Game. He’s not afraid to throw a hefty amount of shade on specific players and teams during his analysis, either. For our money, he’s got a great dash of humor and pop culture references to go along with his extensive experience picking winners. Turns out having a kid doesn’t preclude you from getting memes after all. A former oddsmaker at Caesars, Todd Fuhrman possess a level of insider knowledge and expertise rarely seen amongst the industry’s public figures. In addition to his 107K following on twitter, he’s also the host and founder of @BetTheBoardPod, and provides betting-centric analysis to a variety of media outlets to boot. Following Fuhrman presents you with an opportunity to see things from the eyes of a former bookmaker and gain intimate insight into opening lines, their movement and what this means for bettors. Few in the business can dissect a matchup like Fuhrman, and his larger than life personality combined with proven sports betting acumen has cemented his reputation as one of the most well respected and popular figures in the industry. What’s more, he doesn’t just break down matchups in the big 4 sports, either. Fuhrman is just as comfortable talking the nuances of NASCAR as he is Sunday’s NFL game. If you can bet on it, Fuhrman can analyze it. @SportsCheetah, otherwise known as Preston Johnson, gained popularity through his unusual methodology for picking winners. Johnson is well versed in both sports psychology and behavioral finance, and he picks his bets after running odds through the lens of these disciplines. If finding and capitalizing on inefficiencies in betting markets is your thing, you won’t be disappointed with Johnson’s interpretations. Johnson’s unique background results in a social media presence (and a spot on ESPN’s Daily Wager podcast) that offers a wholly unique perspective on how to understand, conceptualize, and strategize sports betting. His takes are always incisive, and to express a sentiment we’re confident he’d agree with, it’s good to diversify. Rufus Peabody is the obligatory “numbers guy” on this list. He forms one half of the best @BetTheProcess podcast and he brings substantive quantitative analysis to both his podcast and his Twitter feed. When he speaks, sports betting’s analytic community listens. If you understand the limitations of your model and regress properly to the market, you can be way off-market in your numbers, but as long as you're directionally correct, you'll have an edge. You can count on him for measured analysis. If projection systems, regression models, and moneyball-esque analysis are in your wheelhouse (or if you wish to make it part of your wheelhouse) then Rufus Peabody isn’t going to disappoint. Ben Fawkes, as the editor of ESPN’s gambling section, has an expansive view of sports betting. If you’re looking for a wide lens perspective on sports betting, or just want to learn more about the industry and its future, he’s your man. People in the gambling industry have been shouting this from the rooftops for years. Fawkes’ feed offers you a great channel to keep up with the latest in sports betting news, and he doesn’t limit himself to focusing exclusively on individual games like so many of his peers. He provides updates on sports betting’s always evolving legal status around the world, tracks the biggest bets being placed at sportsbooks around the world, and looks at trends in betting volume across the globe. If you’re looking to educate yourself on the business of sports betting and where it’s heading, Fawkes will doubtlessly aid in your pursuit. Want to Learn More about the Reaches of Sports Betting? We’ve got you covered, with an entire section dedicated towards the weirdest, nichest, and most interesting aspects of sports betting. Remember though, you shouldn’t always believe what you read on the internet. In our eyes, sports betting Twitter is a great supplement for your own sports betting lifestyle, but nothing substitutes doing your own homework.